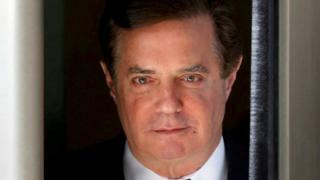 Former Trump campaign chairman Paul Manafort has agreed a plea deal to avoid a second trial, US media report. According to court documents, he has agreed to plead guilty on Friday to two criminal counts in the investigation by Special Counsel Robert Mueller. Manafort was convicted last month on eight counts of fraud, bank fraud and failing to disclose banks accounts. It was the first criminal trial arising from the justice department probe into alleged Russian election meddling. What did we learn from Manafort trial? Manafort, 69, was a key figure in Mr Trump’s inner circle, but the president has since sought to distance himself from his former adviser. In his second trial he faces charges of money laundering and lobbying violations.